And one day to enjoy the show before heading home that eve and back to work the next day. Once it's done, I will post bits from these on the blog. First... get 'er done. Then pick back up my e-book on cruising. Looking forward to giving back... so grateful for all those that have helped us along the way. *Plus, West Marine's Pacific Northwest flagship store in Portland's keeping me busy as Sales Manager. More soon! Be sure to give me a shout if you're at the show between January 29th - 31st! 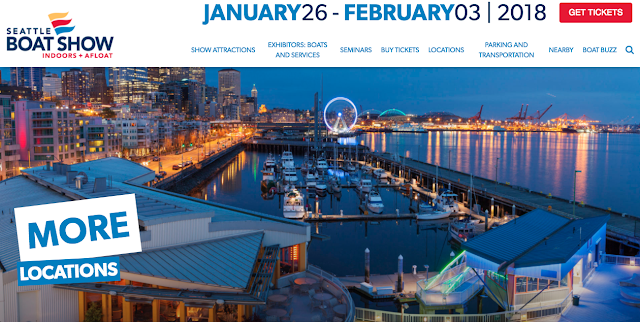 Here's the link if you want to learn more about the Seattle Boat Show.